Sariya is a feminist sociologist of religion who works on women’s experiences of religion, inter-religious relations and British Islam. 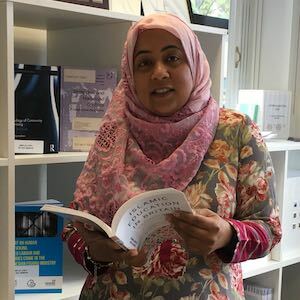 Her research lays particular emphasis on democratic research methodologies that work with and for research participants, to capture the nuance and complexity of societal diversity, pluralism and everyday lived experiences of religion or belief. In a previous life Sariya worked in the investment banking sector. After the tragic events of September 11 2001, she was inspired to work towards dialogue and peacebuilding between individuals and communities of different religious and non-religious beliefs. Her passion led her to academia and she hopes that her scholarship can lead to a more pluralist world within which we can respect and celebrate our diverse beliefs.